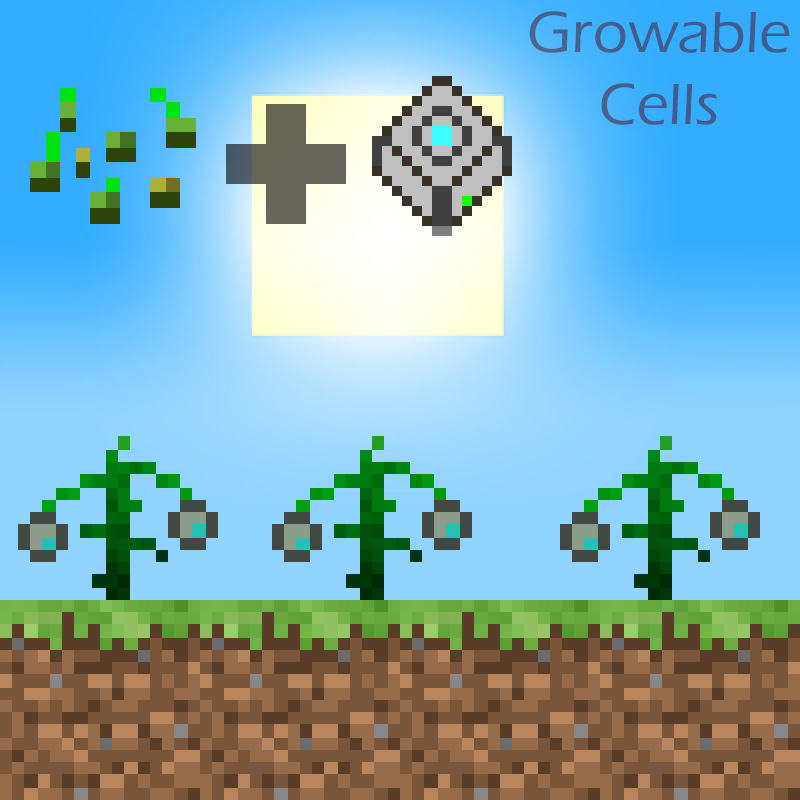 Storage Cell seeds come from the ancient god, Shadows_of_Fire, who was sick and tired of putting in tons of microcrafting so he decided to grant the player the ability to grow them. I have just 1 question and that is how do I actually grow the Storage cells? I can't find any seeds related to storage cells. There certainly are seeds... Just @growablecells in JEI. thanks. Don't know how I missed them before. Using RS 1k disk seeds. When farming by hand I'm only able to generate 2 - 3 storage cells then makes only seeds. Restarting minecraft allows another 2-3 to be farmed before back to only seeds. Tested with all 4 seeds with the same result. Sometimes you can see the disk spawn for half a second before it vanishes. Usually you don't see anything but seeds. I also tested on FTB Beyond since RR doesn't have AE2. The AE2 stuff works just fine but the RS stuff is broken there as well. Pushing a build that fixes it shortly. Not entirely sure why it was happening, the stack size of the dropped cell was 0 for some reason, but only after the first time you receive one. Gave it a quick test. Looks great! Thanks for the speedy fix! Side Note: Mechanical Users from EU2 with a unbreakable paper scythe from TC work just fine for automating harvesting. Do we need to ask permission to use this in our packs? have you automating these at all? absolutely does not work. most of the time the drives are harvested they disappear and if can get the seeds working after a few harvests the disks show a red 0 over them, then when you click them they disappear and that plant will just dupe seeds without making any drives. I've tried EnderIO, mechanical users, and Progressive Automation. Love the mod idea, but totally limited with no automation compatibility. Which type of cell? The AE ones should work regardless of the type of harvester. The RS ones may not work if the automation method looks for a method named getItemDropped, as I cannot use a stack in that argument, and the RS cells use NBT to determine their worth. yeah its the RS drives I'm trying. Even with the ExtraU2 mechanical user which doesn't harvest the actual crops they still glitched out into thin air. Can you check it with an autonomous activator or a similar right click automation thing that doesn't care if its a crop or not? The EU2 user has some kind of special crop based integration that tries to do more direct checks. But I can't really fix that issue, that's on mojang for not allowing getItemDropped to provide an itemstack. Im not really sure there is another right click emulator other than the ExtraU2 one for 1.10 at the moment.